I work as a business analyst and often use Microsoft Word to author management reports which i submit to my management chain. The documents i create have a custom header which typically display the report name, its author, date it was written and so on. In the subsequent pages, i would like to display/ keep only the report name information. At this point you might want to include page numbers in your doc. 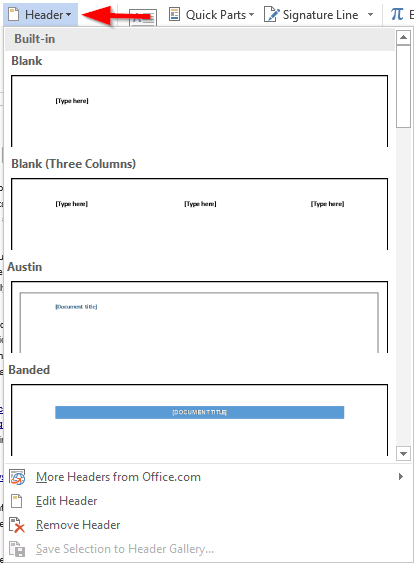 It’s possible to show the numbers in your document first page only. 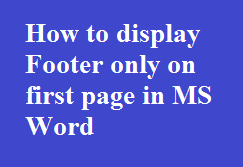 If you would like to now define a custom MS Word footer in the first page, hit Go To Footer and follow the steps below. The procedure for making a custom first page footer is similar to the one we just outlined for the header. From the Ribbon, hit Insert and then Footer, and the set your own design. Use the process outlined in the section below.